The picture shows an entrance under the massive stonework of the tower. The picture shows the building stonework as a backdrop to the picture. An elaborate coat of arms is drawn above the entrance. There is a market on the right of the picture and a tree shown on the left. 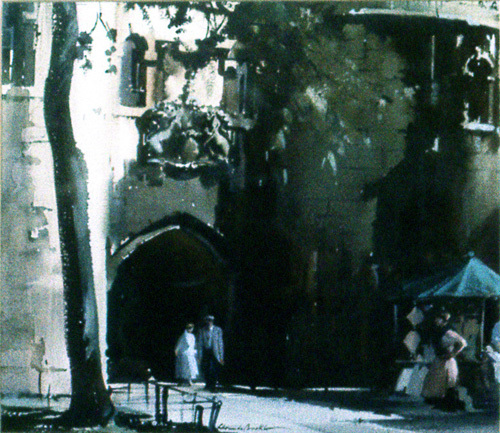 Claude Buckle captures in water colour the massive entrance stone portal to the town in the Dordogne. Created in 1970.